Piyush Patel is a proud alumnus of premier institutes of India such as Nirma University and prestigious IIT; he holds Bachelor of Chem. Eng. and holds Master of Technology in Advanced Solutions. His desire to explore and understand the challenges of industry has shaped his professional career. 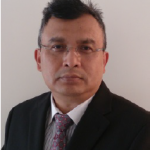 He is having over 14 years of experience in upstream Oil & Gas and LNG projects, working with technology and innovation-driven organisations, like Kongsberg, Statoil, Total, ConocoPhillips, Reliance, Petronas, across geographical boundaries. Over the years, he has sharpened his expertise & skills and gained diversified experience in Sales, Project Management, Technical Consulting, Team building & Resource Management, and Process Engineering. He developed strong proficiency on Digital Decision Support Solution, Dynamic Simulation, Flow Assurance and Operation Excellence. 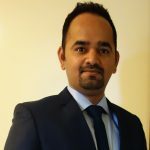 The combination of his specialised education and vast experience of working with major projects Globally has provided him with a deep understanding of how best to utilise Digital Decision Support solutions for both field development and during the operation phase of upstream and midstream Oil & Gas projects. This coupled with his attention to detail to systems and his ability to not only understand the scope but also explain, implement and train complex production assurance systems makes him highly regarded by clients and peers alike. This ability to be a trusted advisor in both the sales and implementation stage makes him a valuable resource. “He delivered what he promised”, “dedicated”, “great communicator”, “In-depth technical knowledge” these are the common remarks in many recommendations given to him by his peers and clients on LinkedIn!